 Today, the biggest challenge to meet the demand for microfinance services across Afghanistan is the lack of information on customer needs and obstacles regarding credit accessibility. To eradicate this lack of information, the FMFB-A has initiated an SME Market Assessment study whose objective is to provide valuable first-hand data from business owners and other stakeholders in 13 provinces. The study maps and measures the level and type of demand for finance among small and medium enterprises in FMFB-A’s defined geographic and market segments on the one hand and current barriers to demand and access to financial services on the other hand. The results focus on how obstacles and opportunities may be addressed by FMFB-A in the near future to develop and expand its SME client portfolio. Training workshop for field enumerators. Interviews with 1,189 businesses across 13 provinces. Conduct 16 focus groups with targeted groups of current clients and non-clients in urban, peri-urban and rural areas. In-depth interviews with between three and five key informants in each region. Elaboration of final report with strategic recommendations on FMFB-A business strategy.